Blogging came about as a means to write about what you want for people who want to read it. Years ago when I read a lot of blogs, I was so interested in the lives of the people writing these posts. I wanted to know about them, how they did their makeup and what clothes they liked to wear. I also read blogs that posted short stories, recipes and more. Today, blogging has become a lot more about “getting paid”, SEO tactics and followers. In my opinion, it shouldn’t be this way. You shouldn’t have to monetize your blog if you don’t want to. Just stick to being you, write about what you love, and forget the rest. On the flip side, I don’t wholeheartedly agree with the idea that turning your blog into your job is a great idea if you’re not fully established. 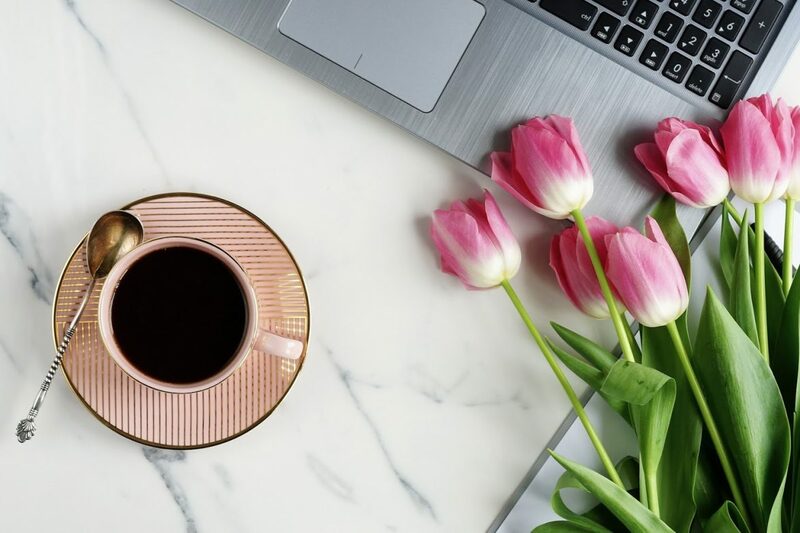 For bloggers like Helen Anderson, I can totally understand going full time, because I know that creating content takes time, and when you’ve made it big, blogging can pay well. Starting a blog one month and then demanding £200 a post the next sets a really bad example, and if your stats don’t live up to your price tag, you could be blacklisted by PRs and Blogger Outreachers like myself. Personally, I monetize my blog, because it’s extra income and it’s nice to know that people would like to work with me. However, recently I’ve seen a large number of bloggers talking about money, pay and PR’s not paying what they think is a good price for others. I’ve even seen bloggers judging others for accepting lower prices as it “negatively effects the blogger community” by doing so. This, on so many levels, is wrong. For one, don’t tell others what to charge, how to blog, or how to monetize their blog. Secondly, prices differ when it comes to gifting/sponsored content depending on your blog content, DA, PA, and a lot more. I’ve worked in Blogger Outreach for over a year now, and it’s getting harder to find great bloggers who want to work with clients, and it’s all because of their high expectations in terms of payment. I’ve been quoted £700 for a sponsored post just as much as I’ve been quoted £20 by similar blogs. If you’re unsure about what to charge, ask what the brand think is relevant. A decent PR or Blogger Outreacher will be able to tell from your blog stats/ranking how much they would be willing to pay. After you’ve asked a few, take a mid point and quote that going forward. Don’t listen to others who like to shout about monetizing their blog, there is a big chance that they live off of their blog and want more money because of this. Just write about what you love, and if the chance comes to work with a brand, listen to what they have to offer. Don’t feel pressured to accept guest and sponsored posts because “everyone else does”, and definitely don’t listen to the advice of other bloggers who spit advice about low prices etc. You do you, the rest will follow. If you’re offered a gift in exchange for a review, consider the price of the product and take it from there. And, if in doubt, sit on it for a few days. I’ve been blogging here for nearly 2 years, and hard work really does pay off. When I first started, I wasn’t happy. I thought I was writing what everyone else writes about to an audience that doesn’t particularly care. Tbh, I still feel this way sometimes. But it’s my content, and I write for me. At the end of the day, if someone else likes what I write, then I’m happy because it shows that I’m good at what I do. Despite working at this for 2 years, I’d say that I’ve only had the chance to earn money from my site in the past 3 months. So if you’re feeling slightly dishevelled with blogging, stick at it, brands will start to notice you eventually (if that’s what you want). If you really want to get yourself out there for opportunities, my best advice is to join relevant Facebook Groups, such as UK Blogger Opportunities, and follow the #bloggerswanted tag on Twitter when you can. For my BIJOU BIJOU campaign, I reached out to them after I saw a big blogger complaining about their lack of budget (even though the bracelet itself was worth a lot of money), and that paid off for me. I was chosen by the brand to style an item, and now the brand has been featured in London Fashion Week. My point is that you can blog and not want to earn money from it, but if you do see an opportunity you would like to go for, then give it a go. Please don’t feel pressure from what you see other bloggers doing or saying about prices etc, just focus on what you write and the rest should follow.